The quote reveals the importance of having one good friend than holding a gang who will never understand and turn back in your struggle. A good friend is enough for whole life. 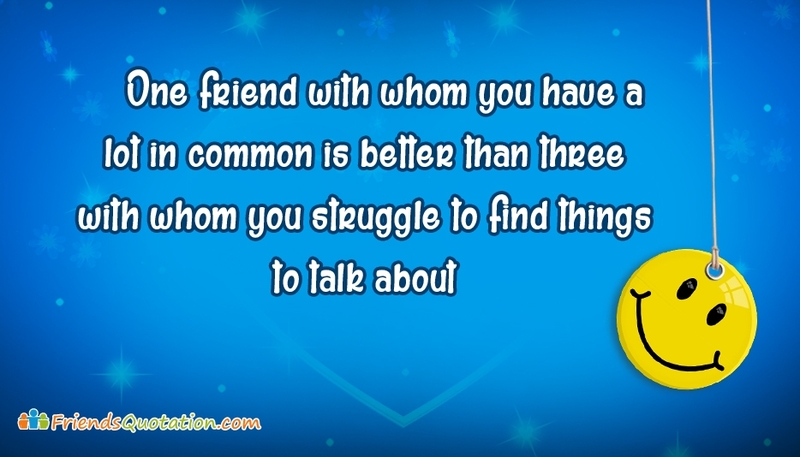 Share this quote "One Friend With Whom You Have a Lot in Common is Better Than Three With Whom You Struggle to Find Things to Talk About" to show everyone that you are pride of holding one close and true bestie.